To be a good teacher, one has to be a good student. There is no other way to become a good teacher other than to live a Truthful Life! To be so inspired by His purpose for my life for this day, Excites me! I was awakened by His Love and I stayed quietly in His presence seated in His Holy Temple, I am hushed, listening to what the quiet speaks to my heart and soul. I am warmed in His Love, before the changes that He has spoken forth that the day begin. I lay until He excites my spirit so deeply that I could no longer stay in bed, but had to get up. As the children are still sleep, the quietness that lives in the night is still being pushed off to make room for the sounds of the light as the sun steps forward to take center stage once more-another day Lord, thank You. My spirit is full of expectancy, I had to get out of bed and begin to allow the love I have for Jesus to come forth from the deepness of my soul out of my mouth—I had to get out of bed and begin to praise Him. I tried to stay in bed, we have nowhere to go, it’s Saturday and the sun had not even begun to show itself yet—but I didn’t want the birds to out praise me this morning. The girls’ school is closed for Christmas, beloved is home as her college has closed for Christmas. I thought to myself-this is a perfect morning to lie in bed and sleep late. I thought to myself last night, ohhhhh thank You Father, for tomorrow, as we have nowhere to get up and get ready to go to. I am grateful for this quiet time in our home. To shut down all outside operations and allow one to feel and enjoy with expectant Joy the coming of His Birthday Celebration! There is a party going on and I know we are invited! Amen. The more I tried to stay in the bed the more I tossed and turned trying to keep myself under the covers warm, cuddly, to just hide a little longer in His presence, behind His shield- in the quietness of the morning’s arrival. My Spirit said I had to get up—the excitement pulled me out of bed, my level of childlike love and expectation of His presence and direction for this day Woke Me UP! And motivated me to get out of bed to praise Him for all of His creations and promises that we partake of each day. To live a truthful life is to remain in Him so that He will remain in you. 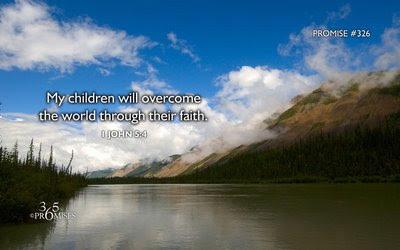 John 15:4. This is a day by day process of living and re-learning. To face the lies with His truth when He reveals them to your heart. Don’t push them back into some holding tank—DEAL with them. A truthful life is to experience a growing, fruit producing, vibrant spiritual life and relationship with Jesus is not just an intellectual process. Nor is it a never ending and exhaustive series of good deeds done with the wrong heart—the wrong motives. Are these wonderful, vibrant days going to be every day? NO you will not feel vibrant everyday. But you keep on going and remember to go to His Spirit and become replinshed, and restored and then go back to class. We learn to allow the changes to pass right on by and we learn what we must from each situation in order to be prepared for the next time. When times are good and when times are rough, with trouble and trials we walk the Way given by His teaching. It is In our remaining in the vine that our enlightenment and fulfillment from His peace comes. When we are connected to Jesus - From the vine comes understanding, wisdom, knowledge and good works, but now it's from a position of having experienced God's love and acceptance. Now you Will Know. We must resist the urge to do things to get/buy God's acceptance. He is offering us a resting place with Him with amazing results, if only we would daily, Prove Him. Sit down in your seat, class is about to start. The Teacher knows that the student is ready to learn, so the Teacher shows up and begins to Teach the hungry student. I, the student tried to stay in the bed, but His Way and Work for me is One of Silent, unapplauded preparation. Preparation not for my work, but for His. This type of Teacher-student relationship is not a two way path—in other words, Jesus does not need to learn anything from us-but we need to learn everything from Him. When we are used as teaching vessels for God, we can definitely learn from the students that He sends to us. To think otherwise will be a prideful hindrance that stops the process of learning through His love. The Teacher knows what the student needs for this day—lined up and balanced from The End first, starting at the desired outcome. So the Teacher starts at the End and walks backwards to where I, the student is on this day of my Journey. The Teacher sees me, He sees All those that are expecting Him to show up; and sees the time is now to begin The lesson for this day-With His Love He woke me up and said, it is time to get up and begin to learn-for the day is upon us. More Truth about His purpose concerning my life. His purpose for your life also. I knew He was coming in the morning, so I made preparations before I went to bed so that I would be in a cleared and content place when His Love woke me up this morning. The student must make a straight path in preparation of His Way to unfold—to be content to learn from The Masters style of teaching. The maturity to know that for me to want ‘to know’ any faster than He is moving me, or to seek to skip some lessons because, I think I already know what I think He is getting ready to teach me—is not being teachable. My heart will reflect that it is still home to remnants of pride if I think I already know what He says I don’t know. 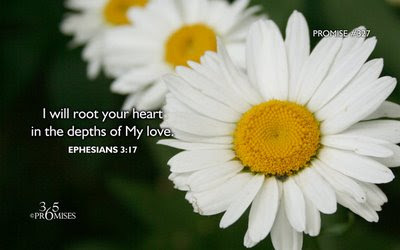 He knows our hearts, Because He knows us from the inside out. That is a comforting blessing for us to hold tight to and use for strength. The student is hungry for what The Teacher knows to Teach. I understand that What I have learned from attending and graduating from mans school of preparation—Is Not going to be enough- I will desperately fall short and become caught up in the web of my pride if I think I already know enough to Work for God. I am fooling myself and keeping His Truth at bay. I have to unpack what I have learned and how I have learned what I have, in order to be emptied and repacked so to speak. This I a truth that everyone who answers His Call with A Yes Lord has to learn. 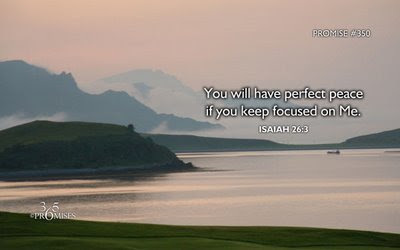 We must not interfere with the Lessons of learning What He knows will fully prepare us to Be a better Teacher of His children-and to be a better child of the Most High God. To Become A more Effective worker in the fields tending to the harvests! Man can’t teach me any of this-I can’t even teach myself any of this--Only His Spirit is able. I take my seat in His classroom every day-prepared to learn what I don’t know. When God Calls and we answer Him with a ‘Yes Lord!”—what we have learned from mans schools of education is not Enough to do the Work of God—We are not qualified and have to go through a training enrolled in the School of Jesus Christ. I am not the only student/teacher that Works under The Master Teacher—I am not the only student that is hungry for what He knows and is freely giving to all who take a seat in His classroom. I welcome all that want what He is teaching- I encourage all that are on this Journey and the paths that we have in common. I stand with all that understand that we are all at different places of learning and teaching—that we are all at different places of being convinced, dedicated, trusting, living by faith, and converted. We are being taught in His classroom—the world of fields that need to be harvested. And some of the fields are in terrible condition—some are in the middle of wars between differing prides, some are in the midst of total decay and filthiness, some are in the midst of false teachers using His name to manipulate masses of people—some of in the midst of violent home lives with prostituted phony love trying to pass as a family, hostile work environments, unsafe streets – unequal this and unequal that- the fields of the harvest of plenty—but the true dedicated workers are few. Teaching your children about Jesus, so that God can teach them. You don’t need to be concerned with leaving your home to help others or leaving your country to help others—start in your HOME first—start in Your Country first—We have plenty of Work to be done right here at HOME! I am speaking about the people who where not called by Father to go out of this Country to do Mission work--but make up their own minds to go and do so. Many of the workers are leaving the fields He assigned them to in order to honor what they want to do. There is plenty of work right here in this Country to do. Yes it is very honorable to go criss-crossing the globe to help downtrodden, poor starving people, spreading the Gospel-I applaud those that Have Been Called to do so. AND truth be told, you and I both know that many who do this ‘work’ have the WRONG motives of heart and use this ‘mission’ in order to come back home and be accepted by man in some self-centered way-for people praise—that is all these people will receive from doing ‘flesh work’—an award from man—not the REWARD from God. Start in your Home first—in your heart is your home then move on to the actual dwelling that you live in and call your earthly home. Jesus is not going to teach us the way that man has concocted for us to learn. Just because you see “so many doing it that way” does not mean it is right nor that is the way you should do things. KNOW Jesus for yourself through a relationship with Him—Know His Truths for yourself—Know the leading of His Holy Spirit for yourself. Yes, belonging to a community of faith is always good—going to church is good-(if God sent you to the church and growth is apparent)—but know this Truth, that You Are the Church—every day—every moment—you are the Church! Start learning—start back to learning - or move to the next lesson of learning Though the Teachings of The Master Teacher. Don’t allow your flesh or satan to fool you into becoming stagnant and stuck at being saved! How are you going to go and help somebody else’s children when yours are an embarrassment to you with you go out? Your children are just as hungry as those that live outside of your home. FEED THEM! They are hungry for His Word and then give them some food their bodies. This is what a Good student/teacher stays aware of—her home first- in the natural and spiritual realms. IN order to teach your children you have to be a student and learn how and what to teach them. You can’t do this if you are not in class with The Master Teacher! God can’t take over the teaching of you nor your children if you don’t start them off In Him. How can they recognize His ways, His love, His corrections, His gentle nudges of direction if they don’t know Him to begin with?! People always pray; God keep my children—God protect my children-God hold fast to my children—BUT they have not even told their children about Jesus, about His life about His love about His freedom offered-how in the world do you think God will teach them if you have not taught them to learn abouy Him, to pray to Him, thank thank Him, to listen for His voice to know and learn about His Love and the Forgiveness that leads to total Freedom through Him? If the Home has unrest; no peace or truth- is not stable and secure in a foundation with Him in the center—built around Him—how will you be able to help anyone else in Truth?! This means if there is unrest in your heart, your spirit, your actual home dwelling, the family members you share this home with, if there is unrest in any of them, nothing will be stable and secure without Him teaching from the center of the thing. If the one that is the stronger has built on sand instead of Rock, how do you think any work you do in the name of Jesus will be able to make it through the fire? When a wind storm-rain storm rolls upon and into your life—the condition of your foundation will determine what you keep and what you lose after the storm has passed—AND they always do pass—As He always knows how to save the Just. People need to Stop lying to themselves and to those around them—start living a Life of Truthfulness! And you can’t help those that live with you until you allow Jesus to help you! Stop skipping classes to go hang out with your flesh!! There is more than one field to harvest—there is more than one kind of Worker. The Father is preparing each worker to be Effective in working in the Harvest of people. The varied crops to be harvested must have trained workers who know how to harvest each crop. As you don’t harvest bananas the same way you do tobacco. You don’t harvest milk the same way you do strawberries or apples. To celebrate and encourage the differences that The Father has so generously created for us to be partakers of is to honor His Goodness and His decisions of what is best for us. We need To remember that Jesus told us that He had to go-John 16:7-16—but that there was so much More knowledge, understanding and wisdom that He had to Teach – but the time had run out—and that The Students were not READY to learn – were not mature enough—had not gone through all the steps of the process necessary to get us to His desired End of His Lessons. know in the Holy Spirit, in the Other Comforter, In Spirit of His Truth—and that as we continue growing in our Relationship with The Father through Him—We would be able to call on the Holy Spirit to release all of this knowledge, understanding and wisdom that we would NEED for now. The Holy Spirit knows the things of God that are to come. To be a Good Teacher – One must be a Good Student! To think that any of us is at a place of Their Journey and knows All about God is to be un-teachable which stops or slows down the process of learning directly from The Master Teacher. Who will prepare and carry you through each day-achieving The End that He started with. We cannot tell The Teacher that We already know that or this. That stops the process of teaching the lessons necessary for our continued transformation in Him- and Jesus will stop and allow us to know the truth—going through some situation by a hands-on learning but by the hard way. Some people insist on doing things the hard way. The student’s feet must be shod with the Gospel of Peace. Yes, the preparation must first be made in the students own heart. If any unrest is here, nothing can make you well prepared for what is coming. So, when I read about the falling economy, the choices of people that Barack is choosing to staff his offices and speak at the swearing in ceremony; when I read about the fathers and mothers killing their children, the people who professed love for another begin to kill those they say they love either literally or through a slow oppressive and horrible manipulative enslavement--I go and make sure i am aligned with the right people, i check my motives again and sit back down to be taught -- Are you sending anyone to help the people Father? We should ask Him. When I read about all the people that are now homeless and jobless because of somebody’s greed and selfishness; the many state run mental hospitals that are closing and pushing patients out the doors like they are popcorn--only to be a serious threat to themselves and everyone they cross paths with--I stop to make sure that I am still connected to Him through The Spirit. When I read about the pain and hurt that is being inflicted in the name of oppression deguised to be love and truth; and the many varied groups of people that Are by design, being ‘left out’, and treated like crap in the name of some haters god of pride; I know He is preparing His people for battle for His name sake. when I read about so-called Christians making it their life’s work to tell everyone else what a ‘real Christian’ is like and is not like, and who Jesus loves and accepts and who He does not-- like they have completed the Course Work from His Teachings; When I read about the total disregard for HUMAN LIFE and the LIFE OF THE EARTH—I know to remember that I am a student of The Master Teacher and that I have not completed the course work that I signed on to learn--AND Yet He just might send me into the field to protect and help the Harvest make it through the night with some other Workers. We read about all this trouble, tribulation, oppression, out right greed and evil and we want to do something to help! We want to be a part of the solutions that Will Work. AND not just with helping people free themselves from the terrible goings on of The World--but First in our everyday lives—in fact, this is where knowing who to give your loyalty to and who to align yourself with starts—in our everyday lives. Staying in Him and He in you--then it moves on to sitting as a student in the classroom of Jesus The Master Teacher—He wants you to know the Truth about yourself, What are your motives? I remember that I will be sent into the field to Work even though my lessons are not complete because, that is the Way the Teacher teaches—I am reminded that I have to weigh in with Him/consult Him to make sure that I am not aligned with the wrong people and that If I am to work and help another with their Harvest, that I must be sent by the Teacher and not by my own thinking and desires. I must remember that I am a a vessel that carries the light in the dark places that He is with me in every place that I go. He is the Source! SOME GOOD WILL COME OUT OF THIS FOR GOD! The outrage that I hear from the hearts of people who are tired of those that are in power always enslaving the people with yet another legalistic rule, law or guideline in order to maintain a tight control of how much Liberty and Justice for all is actually given to all. I pray these people are content with their lives, are teachable and secure in their foundation with Him and have a growing relationship with the Master Teacher. Man used God’s Words in the orders they set forth—man has promised with all the best intentions of providing Liberty, Freedom, and the Pursuit of Happiness for all people. Man made these promises—and the people have held them to their word. It has not worked as man has made promises with the wrong heart, the wrong loyalties, and the wrong motives and changed the outcome – the end of the thing to make sure that he and those like him are the only ones that profit from the promise. But the heart must be changed—the desires have to be aligned with the Fathers, the care and concern for all the others over and above ourselves must be in sight at all times….the pride and selfishness has to be killed off—the ‘whataboutme’s have to die! He said the way to serve Him is to serve others. I am reminded that many do not know this freedom is available to own and live within. And some know about it but are afraid to move past the point of Believing toward Trusting and Having Faith. I am reminded that many have been taught false truths and paths concerning This Freedom given to us. We need to remember Compassion, Mercy, Grace are for us to carry with us as we cross paths with so many others. I am reminded that the many false teachers have purposely held back vital information and His truth concerning The Way – about God’s heart and about Jesus and what He desires us to learn. They have willfully strayed the flock of hungry sheep—the students who believed their lies and promises of freedom all for the sake of self-glorification. These are the ones that will fall to the depths of the deep waters—food for the fish and the birds of the earth. I am reminded that with all that is going on in the world, His Love woke me up ( His Love woke up all those that He Loves) this morning to learn from Him, to praise Him to honor Him with my life – to understand His purpose for me for this day. To take my seat in His classroom of Learning so that I allow His Teachings to further my life for Him. “Let me warn you therefore, beloved, that knowing these things beforehand, you should be on your guard, lest you be carried away by the error of lawless and wicked [persons and] fall from your own [present] firm condition [your own steadfastness of mind]. 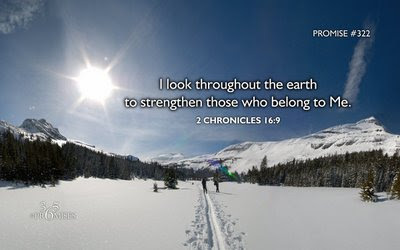 BUT, that you Grow In Grace (undeserved favor, spiritual strength) and recognition and knowledge and understanding of our LORD and Savior Jesus Christ (the Messiah). To HIM [be] Glory (honor, majesty, and splendor) both now and to the day of eternity.